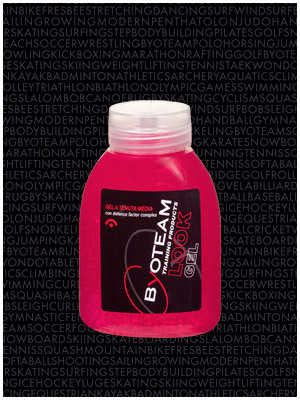 Medium hold styling gel with wet look, to give body and shape without leaving residues. Apply to wet or dry hair and style. Panthenol, DFC (Vitamin A, Vitamin E, Olive oil, Almond oil, Jojoba oil, Iron, Copper, Zinc, Magnesium).